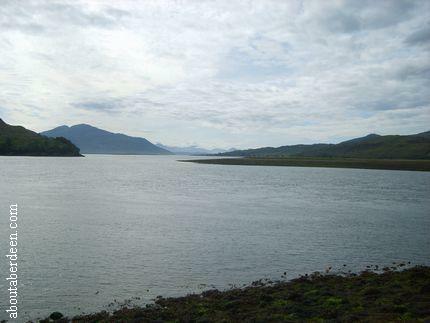 Near the Skye road on the A87 near Dornie sits the bonnie Eilean Donan Castle at the mouth of Loch Duich. It was in ruinous state but between 1912 and 1932 it was rebuilt by Lieutenant Colonel John MaRae-Gilstrap. 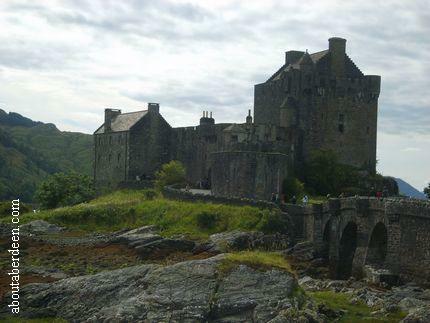 Eilean Donan Castle and its ghosts are now one of the top tourist attractions in Scotland. There is a large car park by Eilean Donan Castle with several disabled parking spaces as near as possible to the visitor centre. Entry to Eilean Donan Castle Scotland is free to disabled visitors though those with a disability may find the stairs difficult but can access the grounds and courtyard in a wheelchair. Children under 5 years can enter the castle for free if they are accompanied by a paying adult. A family ticket of 2 adults and 2 children cost �10-50 and an adult ticket is �4-95. Group discounts are available. Tickets should be bought at the visitors desk where an Eilean Donan Castle official guide is also available to purchase. To the left of the visitors information desk is a cafe selling a range of hot and cold drinks and snacks and the toilets and disabled toilet is to the right, next to the gift shop. Visitors to Eilean Donan Castle need to then display their tickets at the kiosk by the castle walkway. This is in the photograph below and may be familiar to viewers of the first Highlander film starring Sean Connery and Christopher Lambert. 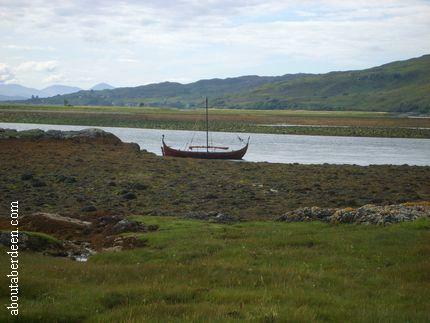 The scene is where the MacLeod Clan go off to battle. The opening times of Eilean Donan Castle is from 10am until 6pm from March to November and during the peak tourist season Eilean Donan Castle opens at 9am. 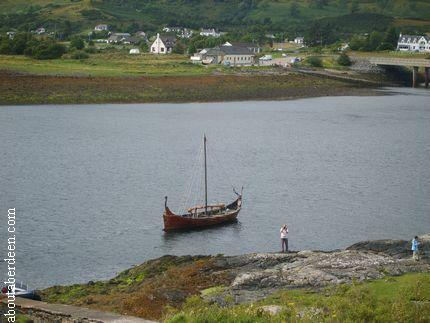 Please check www.eileandonancastle.com for up to date opening dates and times. 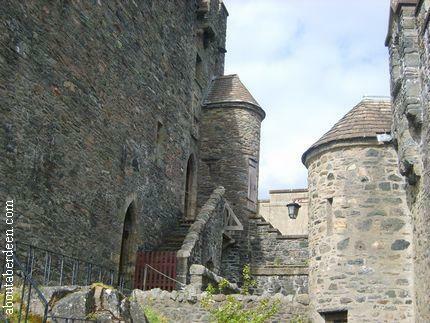 The tour of Eilean Donan Castle starts across the walkway which leads to the courtyard. 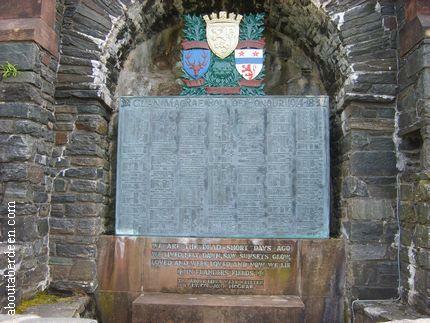 Taking the right path leads to the Clan MacRae Roll of Honour from the Great War. One of the most famous name�s aboutaberdeen saw was that of Lieutenant Colonel John McCrae who was a Canadian Doctor serving in World War One. He wrote the poem In Flanders Field shortly before his death in 1918. Two military artillery cannons flank the MacRae Roll of Honour plaque. Looking to the right gives you views of Loch Duich and on the day www.aboutaberdeen.com visited Eilean Donan Castle there was a Viking Boat on the shore. 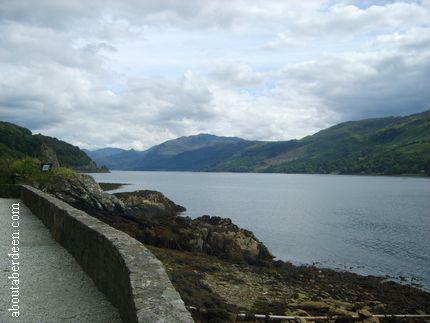 The rest of the walk around Eilean Donan Castle gives you views across the Highlands and towards the Isle of Skye. 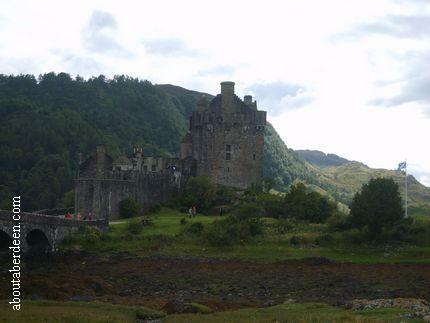 There are some images of these scenes at the bottom of theis Eilean Donan Castle Scotland review page. 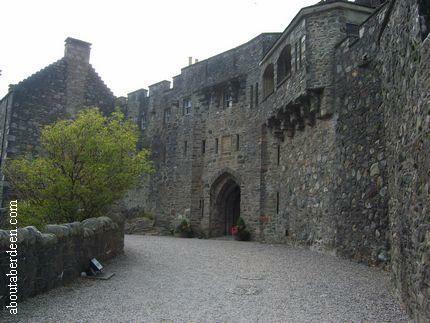 Visitors will now find themselves back at the courtyard and looking to the walls with see the Coat of Arms of the MacRae Clan along with their motto sculptured into the castle wall. Translated it means For as long as there is a MacRae inside there will never be a Fraser outside. 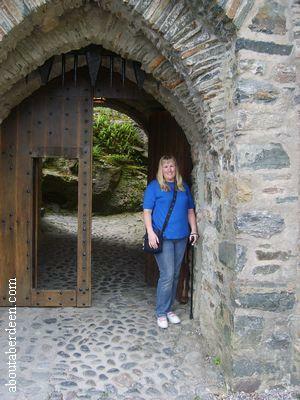 Entrance to Eilean Donan Castle is through the large wooden castle doors in the image below. The arched portcullis gate can be seen and a rare treat to Scottish Castle visitors is being able to see their workings during the inside tour. 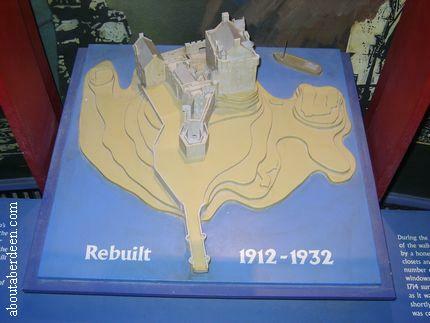 The first rooms in the exhibition are devoted to a general history of Eilean Donan Castle and this is depicted in the castle models throughout the century which can be seen below and at the foot of this Eilean Donan Castle review article. 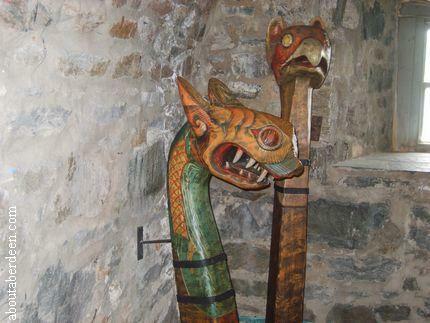 There are some carvings and models which includes these replica Viking boat figure carvings. Up some steps takes you to the inner courtyard of Eilean Donan Castle with some great views of the castle walls, The Keep and across Loch Duich and the Highlands. The first visitor attraction room is the Billeting Room. Photography is not permitted within the rooms of Eilean Donan Castle and each room has a guide. There are some stunning interior photos at the official Eilean Donan website of eileandonancastle.com and in the official guide book. Furniture in the billeting room include Chippendale pieces and a n 18th century grandfather clock. There is a magnificent portrait of Farquhar MacRae amongst the collection in the billeting room. 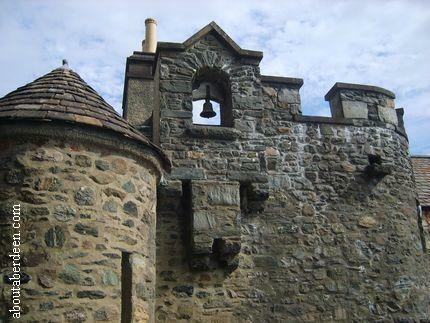 The Billeting Room of the original Eilean Donan Castle would have housed the troops. The glory of the Banqueting Hall is the next room on display during the tour. There are more portraits, which includes those of Lieutenant Colonel MacRae-Gilstrap and his wife, and swords adorning the walls along with tapestries. Period furniture, including Sheraton pieces and Windsor chairs, are on display throughout the room which was also known as The Great Hall. There is a stunning fireplace and gothic looking windows. The MacRaes of Canada gifted Douglas Fir during the restoration of Eilean Donan Castle and these were used for the ceiling beams in the Banqueting Hall. To the right of the Banqueting Hall is a Piper's Gallery and this is still used during wedding ceremonies. In addition to marriages Eilean Donan Castle still plays host to baptisms. In olden days the Piper's Gallery was used as a pulpit. Doctor Samuel Johnson drank from the Raasay punch Bowl in 1773 that is on display and there is the broadsword of John MacRae who fought at Culloden. Upstairs takes you to a room with the inner workings of the portcullis chain with display boards explaining how it works. 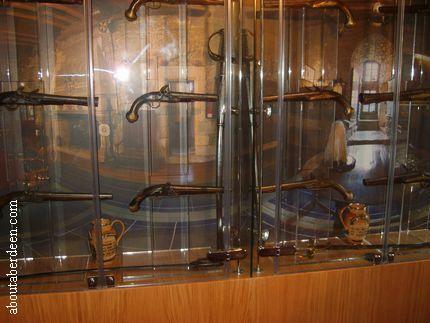 Weapons on display in Eilean Donan Castle include rifles, dirks, duelling pistols and even cannonballs from the 1719 Government bombardment. The bedrooms were renovated in 1995 and are now open to the public. The service bells are original. Down the stairs takes visitors to the kitchen display which depicts life below stairs in the 1930s. Photography is forbidden in these rooms too and the models and mannequins are so life like and the food models look good enough to eat and are really realistic. Cooks are busy in the kitchen display whilst the butler is seen to check the service whilst the kitchen assistants are busy washing up. Sound effects of life in a busy kitchen are played during the tour. 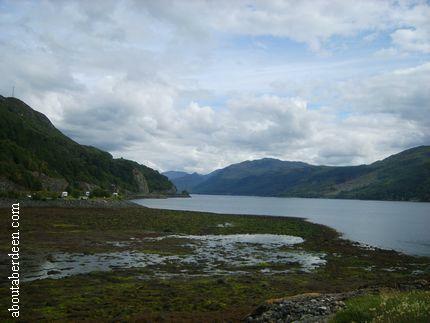 The Island of Donan was named after a 6th century Irish saint. 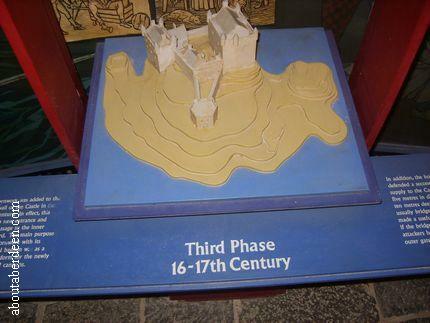 This was Bishop Donan who arrived in Scotland at about the year 580. Churches were built in the area and it is thought that the Island of Donan was used as a Christian community between the late 6th and early 7th century. Other historians think that Eilean Donan Castle was named after the Gaelic words for brown dog or otter which is Cu-Donn. This comes from the legend that when the King of the Otters died his coat which was said to be of pure silver and white was buried on the Island of Donan under what would become the foundations of Eilean Donan Castle. 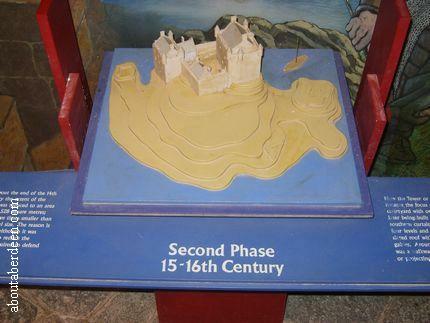 The original Eilean Donan Castle was built in 1220 by Kenneth MacKenzie, though some sources state the year 1260. 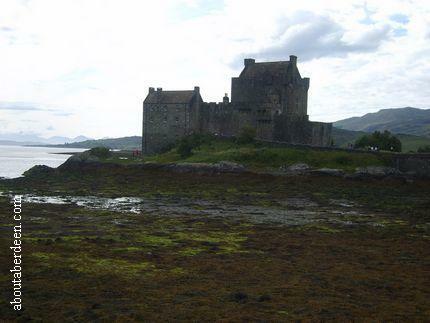 Eilean Donan Castle was the stronghold of the Mackenzies and was built to defend the clan against Viking attack. 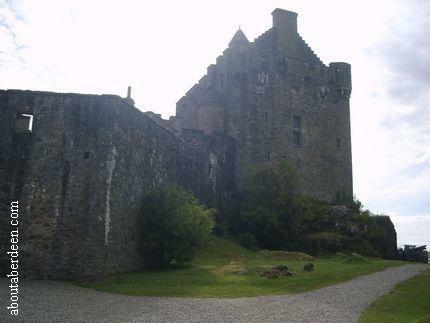 The Mackenzie family employed the MacRae clan at about the year 1511 to be their protectors and they became the Constables of Eilean Donan Castle. 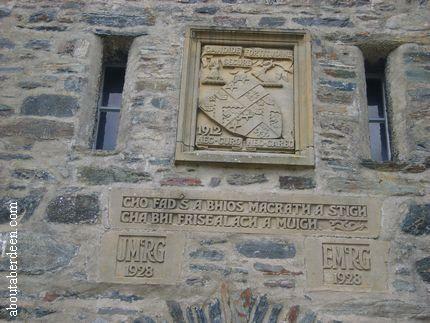 Their names are carved into a door of the third floor of Eilean Donan Castle. In 1306 they sheltered Robert the Bruce. 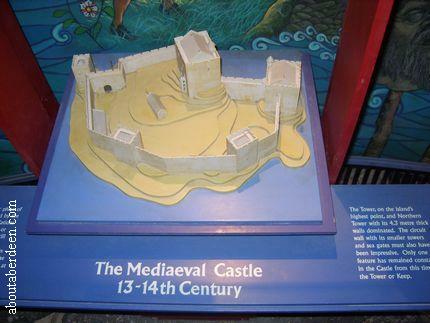 In 1331 50 men were executed at the Castle and their heads were spiked to the walls. 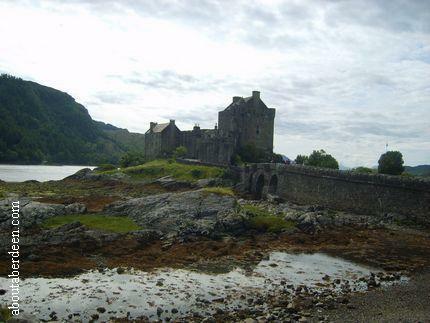 Eilean Donan Castle was attacked by Donald Gorm MacDonald in the year 1539. In 1715 Hanoverian troops of the Government took ownership of Eilean Donan Castle but it was soon recaptured by the Jacobites prior to the Battle of Sheriffmuir. It then housed 46 Spanish troops who were fighting for the Jacobites and the area became their Garrison. 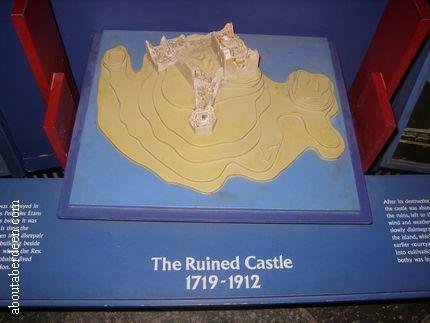 Government troops destroyed the Castle in a surprise attack on the 10 May 1719 by frigates with cannons that destroyed the munitions stores and powder magazine and with them the original Eilean Donan Castle. The names of the Government frigates were Flamborough, Worcester and Enterprise. 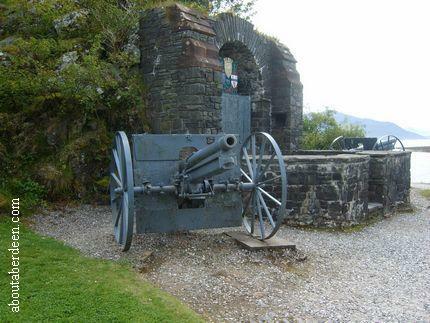 The Worchester and the Enterprise bombarded Eilean Donan Castle and then Captain Herdman of the Enterprise went ashore to receive the surrender of the Garrison and then blow up the remains which included 343 barrels of gunpowder. 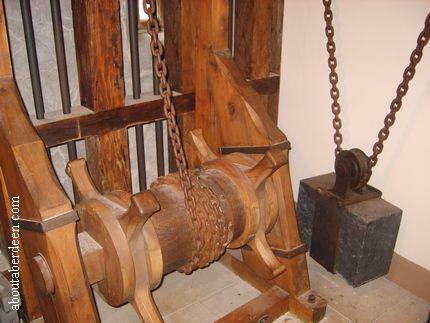 Many artefacts from this era are still on display at Eilean Donan Castle Scotland and this includes a lock of hair from Bonnie Prince Charlie with a letter seeking help from Clan Chiefs to raise his standard at Glenfinnan. 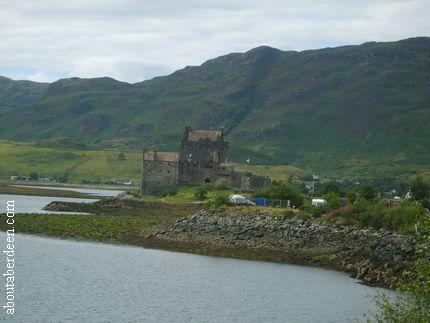 There was little in the way of Eilean Donan Castle history for just under two centuries and it remained a ruin. Eilan Donan Castle has also been refeered to as Eilandonan Castle. 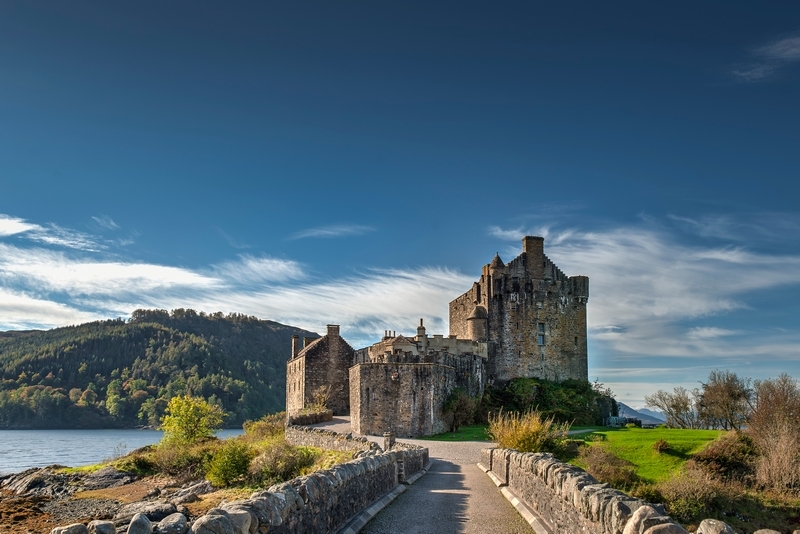 The Eilean Donan Castle history saw a new chapter in its life when it was purchased in 1911 and rebuilt by Lt Col John MacRae-Gilstrap between 1912 and 1932 as a summer house for his family. He was then a Major and his clerk of works was Farquhar MacRae. 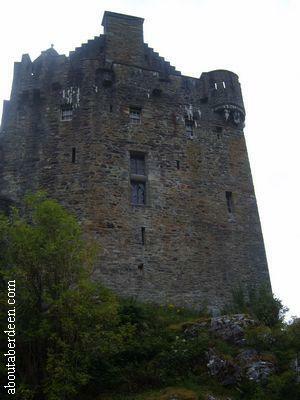 Local legends say that Farquhar built the castle from a vision he had and later when old plans were found his new Eilean Donan Castle was very close to the original. 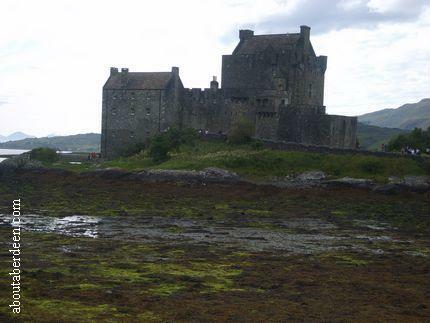 Eilean Donan Castle was built as a strong tower and some of its walls are 14 feet thick. It stands on a small island, though joined to the mainland by a bridge was was formed in the 1912 to 1932 rebuild. In 1983 the Conchra Trust was set up by the MacRae family so that Eilean Donan castle (and its ghosts!) could be preserved. 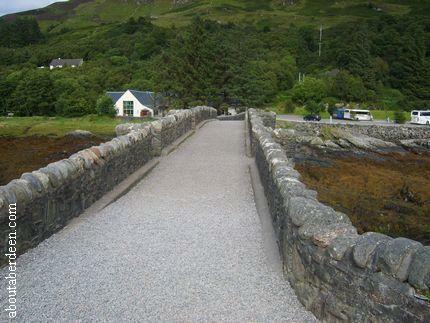 Public access was granted to Eilean Donan Castle and the admission charges help with the upkeep and preservation. For the 50th anniversary of the James Bond films actor Roger Moore appeared at Eilean Donan Castle as part of the special UK tour. Other Bond actors appeared at key locations through the United Kingdom which included Bond girls Britt Ekland and Shirley Eaton along with famous Bond villain Richard Kiel who played Jaws, the steel toothed baddie. This 007 Days of Bond tour started on Monday 17 September 2012. The BBC 1 advert played at the start of programmes with the large red balloon was flown over Eilean Donan Castle. Another film with scenes of Eilean Donan Castle is Elizabeth: The Golden Age which was released in 2007 and starred Cate Blanchett as Queen Elizabeth I and Samantha Morton as Mary Stuart who was a prisoner in Eilean Donan Castle. It remains a Scottish Castle that few can resist taking a photograph to capture the beauty of the building and its scenery. It is said by many that Eilean Donan Castle is the most photographed castle in the world and www.aboutaberdeen.com completely agree. It is a stunning building steeped in history at a most romantic location. 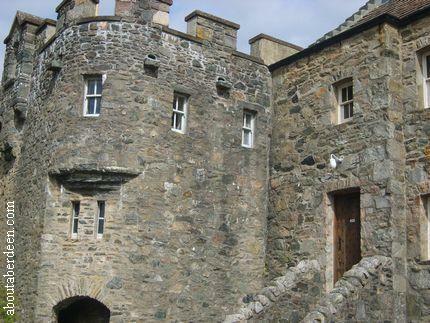 No visit to Scotland would be complete without a few hours spent at EileanDonanCastle. A Spanish soldier is thought to haunt the Castle, he appears as a headless ghost. No-one knows if he was killed in the fire of 1719 that destroyed the ammunitions and with it the Castle or if he died in the Battle of Glenshiel that occurred at the same time. Lady Mary haunts a bedroom.